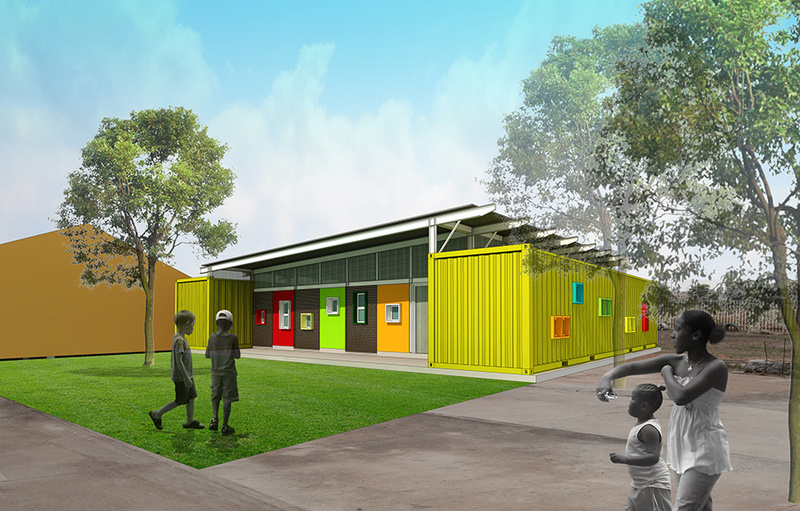 Sponsored by Safmarine, this project continues our exploration of using recycled containers to expand the typology of classrooms. 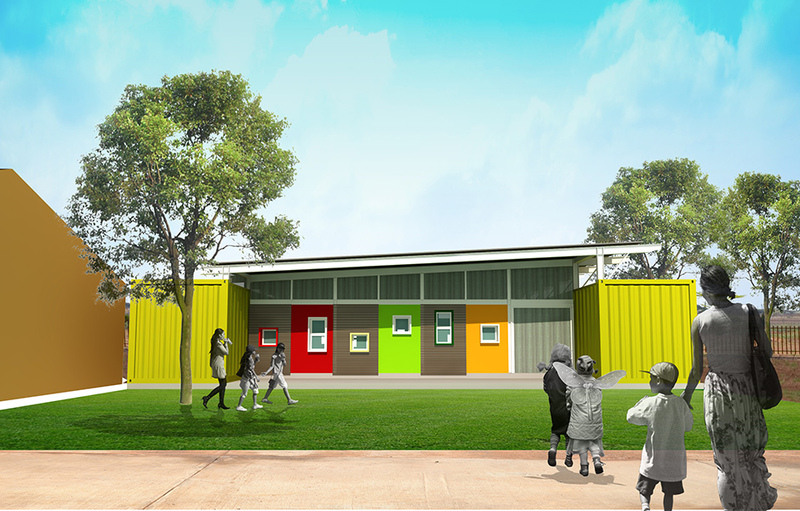 The goal of this project is to create a classroom big enough to comfortably accommodate 80 learners at Khensani Primary School in Johannesburg. 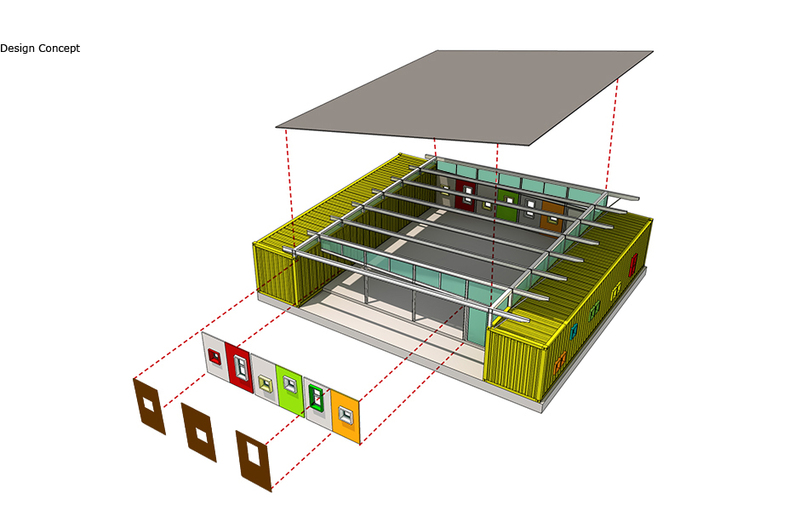 The design features two 12-meter recycled containers configured like Lego blocks to hold a large roof that spans across the entire space. The configuration is enclosed by clear glazing around the top and lightweight insulation panels on the sides. 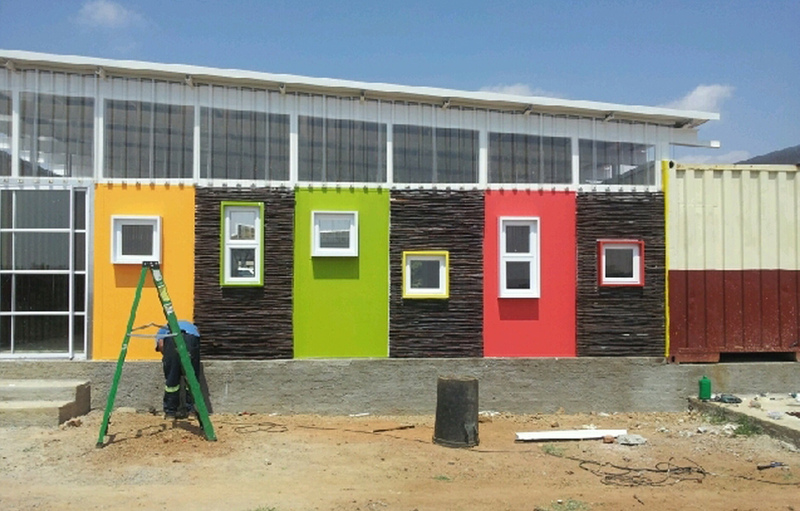 The panels are painted with bright colours to celebrate the youthful energy of children. Passive cooling is made possible by installing louvres under the roof to expel hot air. 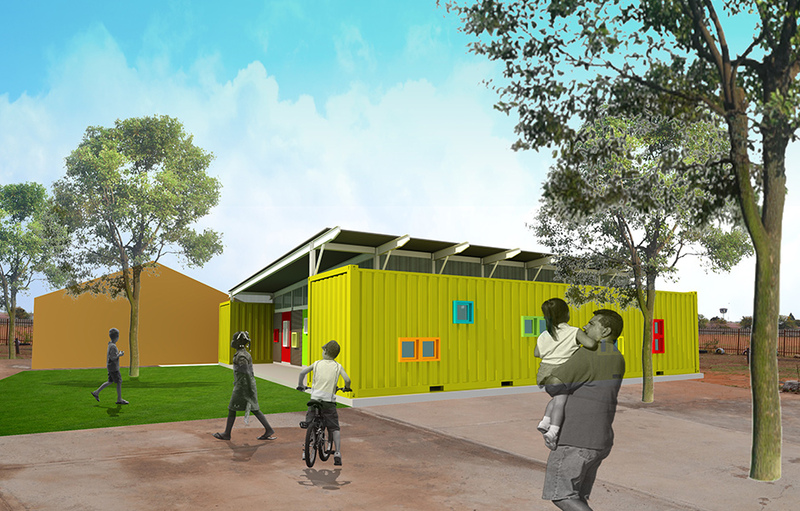 Cross-ventilation from windows on both sides of the classroom reduces heat gain. 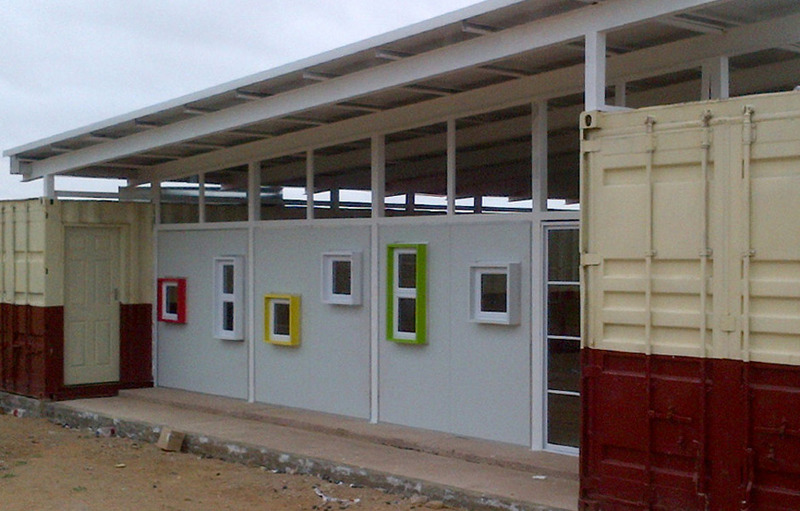 In addition to the classroom, the two containers house the teacher’s office, a lockable computer room and a general storeroom.